Nations Press feature news COMPLETE LIST: State Universities and Colleges. Free tuition fee for State Universities starts 2017! COMPLETE LIST: State Universities and Colleges. Free tuition fee for State Universities starts 2017! 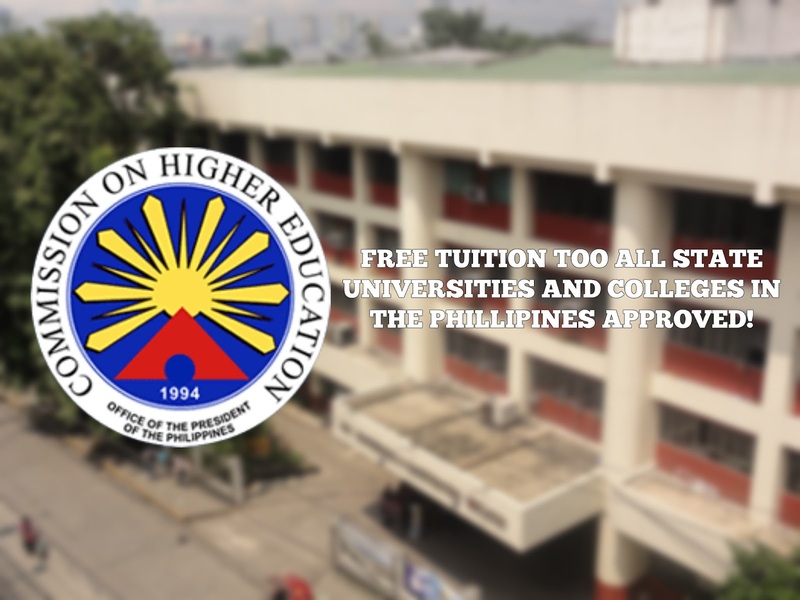 All state Universities and Colleges in the Philippines will offer education to Filipino nationals for free starting next year after the Senate and the Congress approved the 8 Billion pesos additional budget for the Commission on Higher Education. The only needed was the sign of President Duterte approving the free tuition fee to all State Universities in the Philippines. “If confirmed, free tuition at SCUs could be 2016’s best news for the nation’s peasant and workingclass families.” Blogger Tonyo Cruz tweeted. List of the State Universities and Colleges that may covered by the 8B Additional budget for CHED. The P8-B budget may only covered the tuition fee, but not the other miscellaneous expenses like laboratory fees. The additional budget for CHED was part of the P3.35-T proposed budget for 2017. It only needed the approval of President Rodrigo Duterte and he’s expected to sign it after his trip abroad.